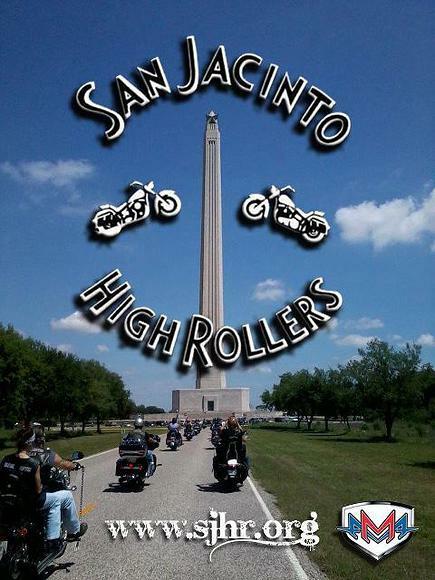 San Jacinto High Rollers MC (SJHRMC) is the oldest American Motorcycle Association (AMA) Motorcycle Club in Texas. Our first President, Milton Wood, founded the High Rollers in 1957 in Pasadena, Texas as an AMA Chartered, not-for-profit organization to provide assistance for children in need and to improve the public image of motorcycling. The Club has supported the Texas Lions Children’s Camp in Kerrville, Texas since 1958. SJHRMC also supports many other benefits, charities and community service programs. 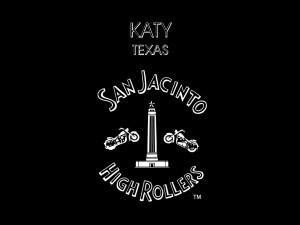 The Katy Texas Chapter was founded in 2007 and continues the rich heritage of the San Jacinto High Rollers MC. We are located on the west side of the greater Houston metropolitan area. Our Chapter is part of a Brotherhood that rides together, rides often and rides safely, while giving back fruits of our kinship along the way. Contact Us to speak with a Chapter Officer about visiting a Chapter Meeting, joining our Club or any other matter. Since 1958, the primary charity of the San Jacinto High Rollers MC has been the Texas Lions Camp in Kerrville, Texas. Texas Lions Camp is a residential camping facility for children with physical disabilities, type 1 diabetes and cancer. 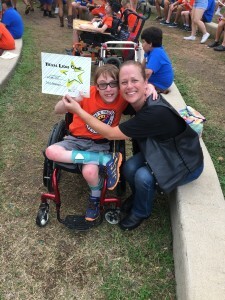 The Camp is located on over 500 acres in the beautiful Texas Hill Country, and is designed to introduce the “Can Do” philosophy to children dealing with special medical conditions. 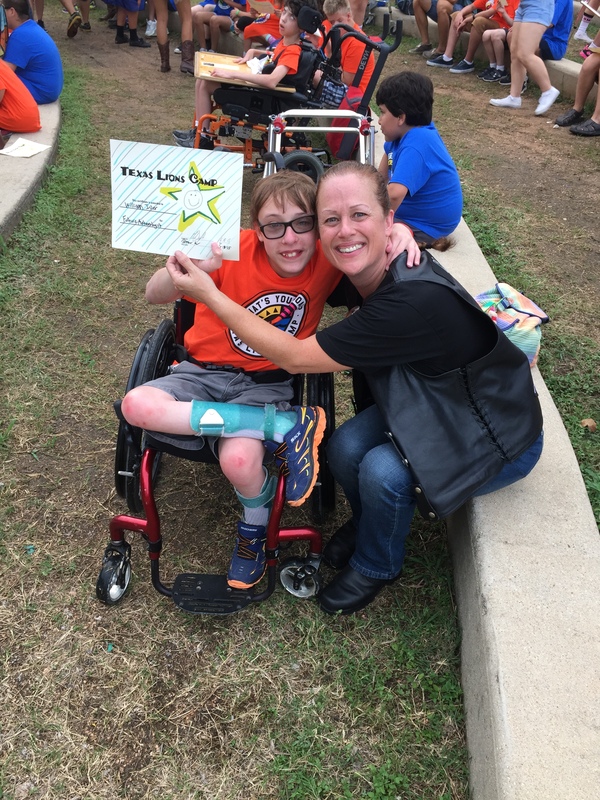 Children with special needs from all over the State of Texas are invited to attend one of 9 weeks of camp, which we hope will become one of their life-long childhood memories. A week designed for fun, exploration and challenge. The primary purpose of the Camp is to provide, without charge, a camp for children from the State of Texas that are physically disabled, hearing/vision impaired, mentally challenged or suffer from diabetes, cancer or other medical conditions, regardless of race, religion or national origin. Our goal is to provide an atmosphere wherein campers will learn the “Can Do” philosophy and be allowed to achieve maximum personal growth and self-esteem. The San Jacinto High Rollers MC is recognized as a not-for-profit corporation, under section 501(c)(3) of the Internal Revenue Service Code. We are a family oriented Motorcycle Club geared toward Brotherhood. In addition to the Texas Lions Camp, we support many other benefits, charities and community service programs. Members join together for camaraderie, strength of numbers, companionship, community service, education, rider training and socializing.